The largest city and the capital of Czech Republic, Prague is known for its idyllic splendor. It is also a major business and commercial center and attracts thousands of travelers each year for different purposes. 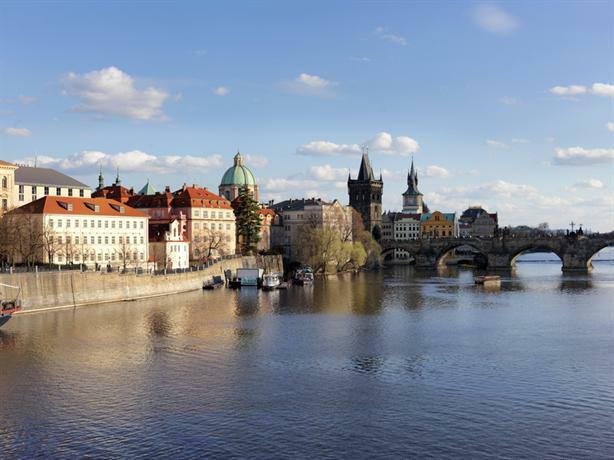 Located by the lovely Vltava River, the city is famous for historical buildings and monuments. Some of the popular tourist destinations in Prague include Charles Bridge, Old Town Square, Prague Castle, Petrín hill and Vyšehrad. Other than its historical value, the city is also a business hub and is home to world famous companies. Travelers can also enjoy shopping and dining in the city. Here is a list of 15 best hotels that you will find in Prague. The Four Seasons Hotel ranks among the luxury hotels in Prague. 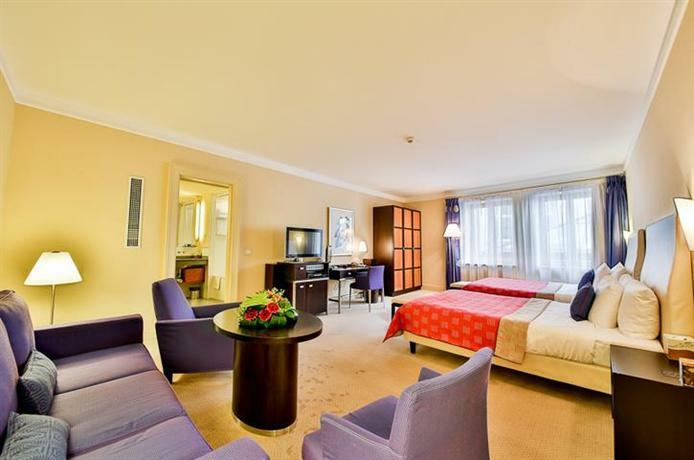 Located very close to the main city center at Veleslavinova 1098/2A, this hotel consists of 157 luxury rooms. The hotel is designed in the art deco style and offers a heritage charm. Travelers who book a room here enjoy the benefits of luxurious accommodation with a blend of comfort. The guest rooms in the hotel are designed with style and class, with private balconies that offer wonderful view of the exotic surroundings. Guests can taste wide range of local, Portuguese and continental gastronomical delights. There are excellent pubs where you can try out a variety of refreshing beer, wines and other drinks. 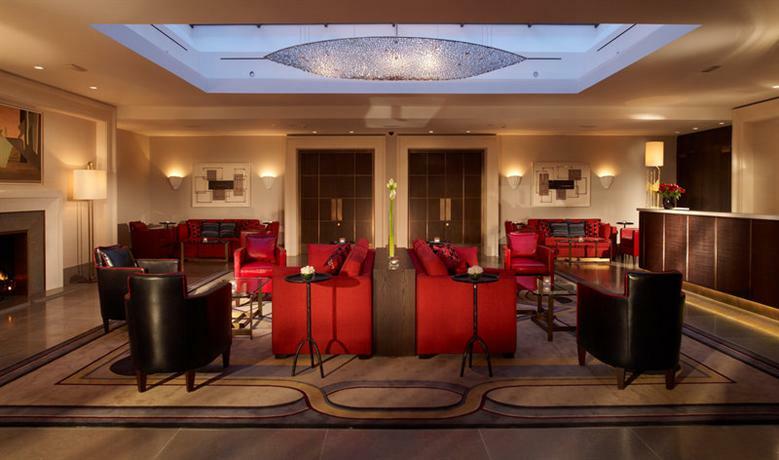 The conference rooms and the business center in the Four Seasons Hotel Prague are of high standards. They are ideal for meetings, seminars, conferences and other corporate events. Other facilities include parking, doctor on call, health and fitness services, babysitting services, currency exchange, and lots more. 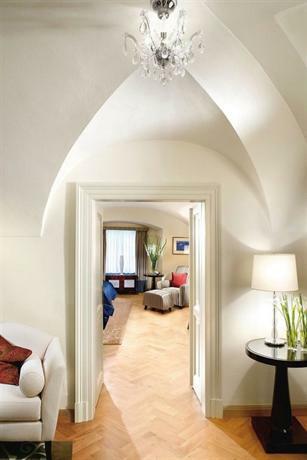 The Mandarin Oriental Prague is one of the premier luxury hotels in Prague. It is located near the main city center at Nebovidska 459/1, and is just few minutes away from the well-known dining, entertainment hubs, markets and shopping centers. The business and commercial district is also by. 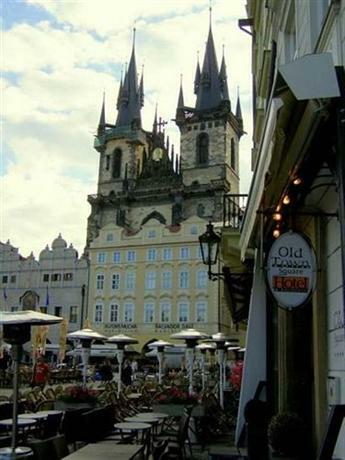 The location of the hotel is also close to popular tourist spots like Old Town Square and Prague Castle. There are plush and comfortable rooms in Mandarin Oriental Prague that offer a pleasant environment to make the guests feel at home. The hotel consists of 79 well-appointed guest rooms, which are equipped with wonderful lodging amenities. The rooms consist of modern bathrooms and private balconies. Other room facilities include satellite television, direct dial telephone, mini bar, tea and coffee making facilities. Room service personnel are available round the clock. Wide variety of business events and functions can be held in the high quality meeting and conference rooms, all of which are well equipped with modern services. The Aria Hotel Prague is located in the vicinity of the main city center near the business districts. The strategic location makes it closer to popular tourist destinations, entertainment hotspots, convention and exhibition centers and well known shopping hubs. The prime location of the hotel has turned it into an ideal accommodation center for both tourists and business people. The Aria Hotel Prague provides wonderful facilities with a blend of rich European culture. The hotel consists of deluxe rooms, junior suites, and Elvis luxury suites. Each room is richly furnished and offer high standard facilities to ensure a wonderful stay. All the rooms are fitted with state-of-the-art amenities. Some other hotel facilities that you can enjoy are banquet facilities; cocktail bar, disabled facilities, roof top heated swimming pool, gymnasium, sauna, fitness center, and photocopying facilities. The hotel consists of exquisite restaurants that provide local and international cuisine to dine. The Augustine Rocco Forte Hotel is located at Letenská, which is just a stroll away from the city center and the Prague Castle. The hotel is just 5 minutes from the main transport hub too. The airport is also in the vicinity. The hotel provides wonderful facilities amidst an exotic medieval European background. There are 29 classic and deluxe guest rooms, which are equipped with state-of-the-art amenities. Room Facilities consist of exquisite bedrooms, ironing instruments, modern kitchens, drawing rooms, and private balconies. The hotel offers a relaxing experience that makes it apt for both a weekend trip and business trip. Facilities abound in the Augustine Rocco Forte Hotel like banquet facilities, swimming pool, fitness center, disabled facilities and photocopying facilities. The hotel also has dining outlets which serve a wide variety of mouthwatering dishes. 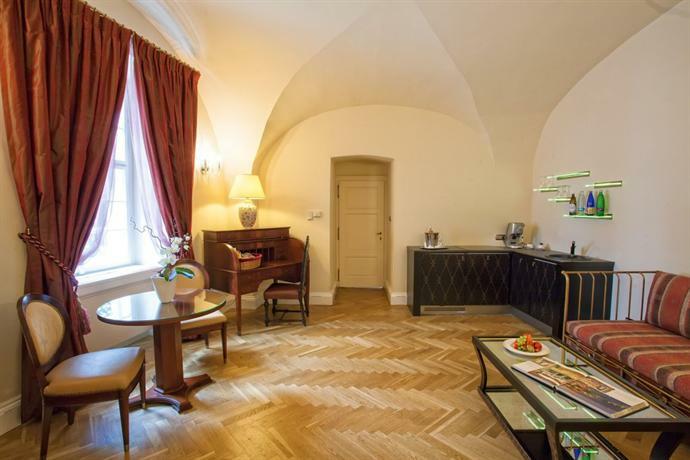 The Alchymist Prague Castle Suites provides wonderful facilities. The hotel is equipped with state-of-the-art facilities. There are seven guest rooms and one suite; all the rooms are richly furnished. Apart from the room facilities, the hotel consists of delicious breakfast and other dining services. Some other facilities include complimentary Wi-Fi, airport transfers, and valet parking. The health club in the hotel includes a gymnasium, sauna, and fitness center. An added attraction is the daily wine and cheese tasting services. 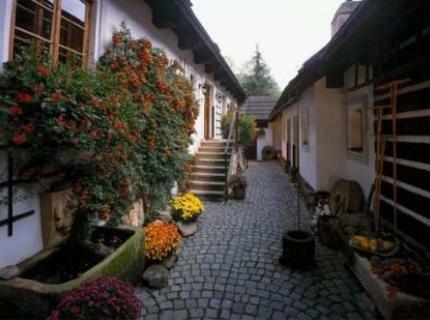 The hotel is located in Snemovní that is close to the historical precincts and major shopping stores. You can also easily travel to the different tourist spots of Prague from here, as most of them are located within a short distance. Ranking among the premier five star hotels in Prague, the Golden Well U Zlate Studne is located just 5 minutes from the Prague Castle. It is also near the well-known offices, dining outlets, entertainment hubs and shopping complexes. The Golden Well U Zlate Studne is designed in the boutique style that adds to its attraction. The hotel is the winner of the Travellers Choice award due to the excellent facilities. It offers a wide range of facilities making it ideal for both tourists and corporate guests. Visitors can choose from superior rooms, deluxe rooms, and grand deluxe rooms. 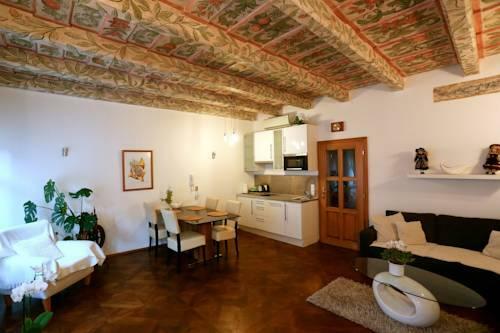 All the rooms are luxuriously furnished with antiques, and the private balconies provide wonderful view of the Prague castle. Each room is equipped with modern amenities. There are plenty of facilities like parking, disabled facilities, and babysitting services. You can enjoy fitness facilities like swimming pool, gymnasium, and sauna and fitness center. The hotel consists of restaurants that serve a wide variety of gastronomical delights. 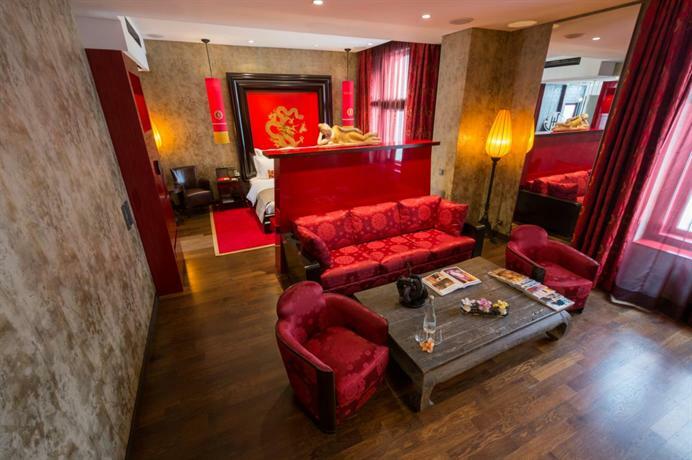 The Buddha Bar Hotel Prague is located in close proximity to the Old Town Square. Popular restaurants, bars, entertainment zones and shopping complexes are also close by. The airport and railway station are within few kilometers from the hotel. The Buddha Bar Hotel Prague offers a wide range of facilities making it ideal for both leisure and business purposes. Visitors can choose from a variety of rooms, such as superior rooms, premier rooms, and suites. Each room is a combination of modern comfort and convenience that offers a memorable stay. The hotel is a wonderful lodging center for people who wish to experience the scenic beauty of Prague. 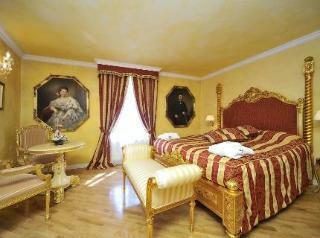 Alchymist Nosticova Palace is located within a short distance from the main city center. It is also in close proximity to the well-known restaurants, bars, entertainment zones and shopping complexes. The hotel can be reached from transport hubs in a short span of time. The Alchymist Nosticova Palace offers a wide range of facilities making it ideal both for leisure travelers and corporate guests. It offers comfy facilities amidst an exotic setting. The hotel consists of 16 luxurious guest rooms. All these rooms are equipped with great amenities, along with round the clock room service. The buffet breakfast consists of a wide range of delicious local and continental dishes. You can choose from various amenities at the Alchymist Nosticova Palace. The Italian restaurant is an ideal place to cherish great continental and local dishes. The location of the Romantik Hotel U Raka is at Cerninska 10. This place is quite close to the central business and shopping points. Popular tourist spots are also close by. Nestled in the midst of a quaint setting and surrounded by gardens, the hotel is an ideal lodging stay away from the hustle and bustle. The Romantik Hotel U Raka provides wonderful facilities amidst an exotic local setting. The rooms are equipped with exquisite bedrooms, drawing rooms, ironing instruments, modern kitchens and private balconies. The hotel offers a comforting experience which makes it apt for a holiday or leisure trip. The small dining outlet offers a range of local delicacies. You can relax by the fire place with a cup of coffee or drink. The hotel garden can be an apt place to have a leisurely stroll and relax. The Hotel & Spa Carolline is located amidst sprawling garden at Karolíny Svetlé 20. It is quite close to entertainment and shopping precincts. This family run boutique hotel in within walking distance from Vltava River, Charles Bridge, Old Town and Wenceslas Squares. The Hotel & Spa Carolline offers excellent facilities. The hotels are designed with a blend of local and modern architecture. It consists of three well equipped serviced apartments that make it apt for corporate guests. Each apartment has comfy bedrooms, kitchens, bathrooms, and private balcony. All bedrooms have king or queen sized beds, dressing tables and wardrobes. An added aspect of the hotel is its self styed spa. You can opt for a wide range of massages and therapies at the spa. The Pachtuv Palace is situated in the heart of the city. It is located opposite the beautiful Vltava River and is also close to the exhibition centers, shopping complexes. The financial and commercial district is also within close distance. The Pachtuv Palace provides wonderful facilities with a blend of rich European culture. The hotel is equipped with up-to-date facilities. It consists of deluxe rooms and superior suites, all of which are richly furnished and offer high standard amenities to ensure a comfortable stay. In addition to the wonderful accommodation, the hotel consists of conference rooms and banquet facilities. The hotel has exquisite restaurants that offer delicious continental and Mediterranean cuisine, and magnificent bars and cafes. The Old Town Square Hotel and Residence provides wonderful facilities amidst a beautiful background. There are double rooms, junior suites, and family suites that are equipped with state-of-the-art amenities. The rooms consist of exquisite bedrooms, drawing rooms, microwave ovens, ironing instruments, and modern kitchens. The bathrooms are equipped with plush bath fittings. The family suites with balcony offer wonderful view of the surrounding landscape. The hotel is situated close to the city center and is a walking distance to the well-known shopping and commercial centers. In addition to the comfy accommodation, you can get an array of facilities like doctor on call, swimming pool, gymnasium, sauna, fitness center, banquet facilities, disabled facilities and photocopying facilities. 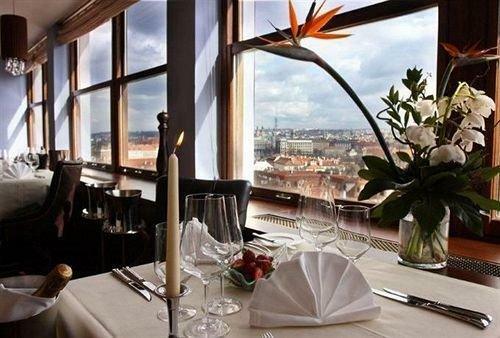 The Grand Mark Prague is one of the renowned five star hotels in the city. Located to the main city at Hybernska 12, it can be reached easily by various transport options. Popular restaurants and pubs are also close by, as well as the places of interest. The Grand Mark Prague provides wonderful accommodation facilities suited for both tourists and business travelers. The hotel is surrounded by a lush green garden. There are luxury suites that provide you a grand accommodation. All rooms are richly furnished and consist of high standard facilities, such as king size beds, reverse cycle air-conditioning, flat screen television, mini-bar and private bathrooms. 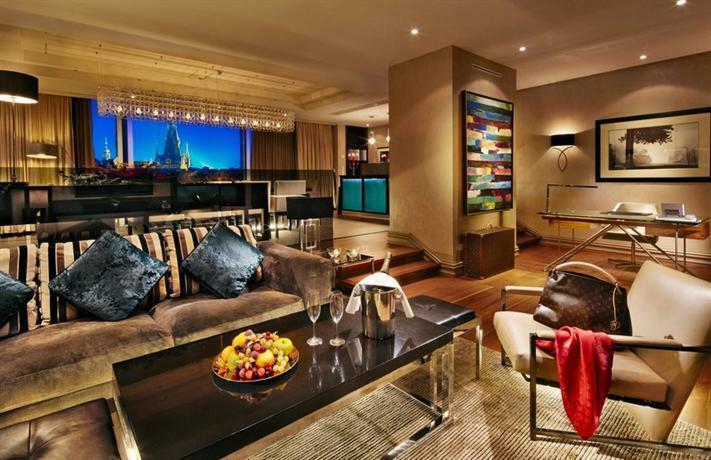 Each room has private balconies that offer a great view of the city scape. 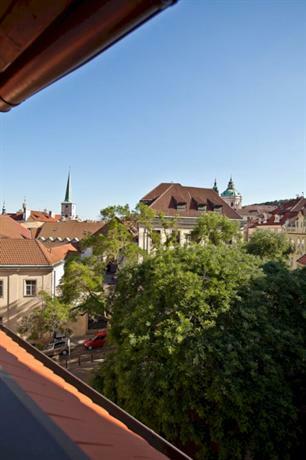 The Ventana Hotel Prague is located in a convenient spot near the main city center. It is just fifty meters away from the Old Town Square. Popular tourist spots, dining and shopping precincts, and cultural venues are also within easy reach. 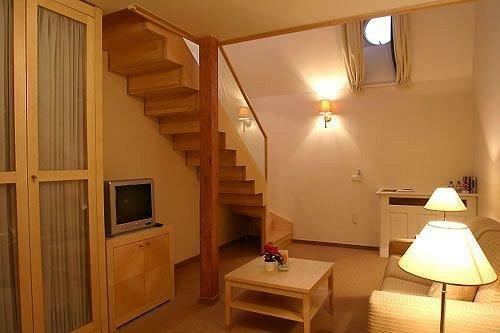 The pleasant accommodation facilities in Ventana Hotel Prague add to its popularity. The hotel consists of luxury guest rooms that are decorated very well in the interior and offer contemporary facilities. The guest rooms consist of modern bathrooms and modern kitchens. You can enjoy a splendid view of the surroundings from the private balconies. An exceptional aspect of the hotel is the handicapped suites, which are specially designed for disabled guests. Some of the amenities include wider doors, safety bars, raised toilets, and so on. 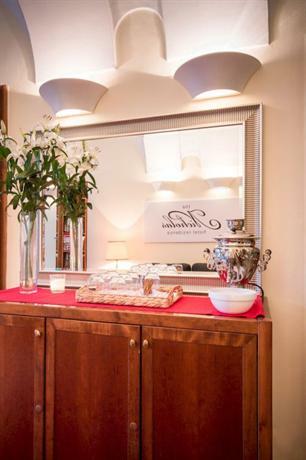 The Nicholas Hotel in Prague provides wonderful facilities amidst an exotic local set up. There are nine luxurious suites, which are equipped with modern facilities. The rooms consist of an exquisite king or queen beds, plush drawing rooms, private balconies, modern kitchen, and bathrooms. Each room is decorated with country-style architecture. The location of the Nicholas Hotel is also something that makes it quite popular. Overlooking the beautiful Prague Castle, this hotel is close to the main city and major transport hubs. The hotel offers facilities like swimming pool, fitness center, banquet facilities, and facilities for the disabled. Wonderful restaurants and cafes in the hotel provide mouth-watering dishes and refreshing drinks. Banquet and conference rooms consist of modern facilities to cater to various events, such as meetings, conferences, and social parties.